Here you need logic and a little dexterity, because the winner is the player who is the first to get a four blocks in a row figure. 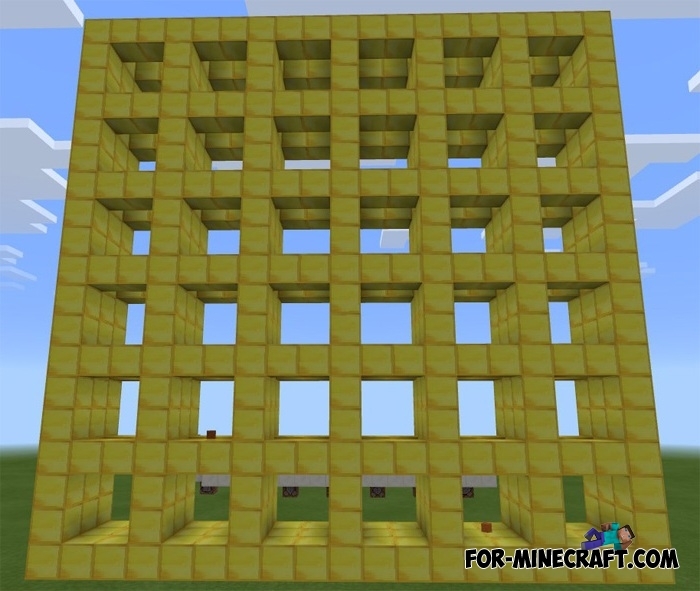 Connect Mini Game works with the help of command blocks, due to which the game is fully automated and does not require the participation of judges during the game. At any time, you can start all over again or invite other participants in the game. You do not have to run anywhere, the map creator has already built special teleports and buttons for control. Find the opponent and start the game by clicking on the button. The player who first places the four blocks in a row will win. But this is not so easy, because your opponent will always interfere and interrupt the figures.